Sea levels are rising because of climate change, and so are the cases of tsunamis and floods. 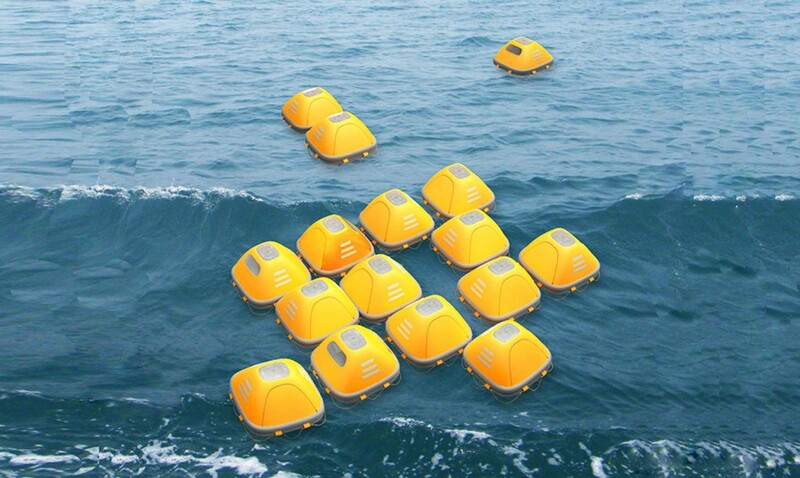 To deal with these natural disasters, Chinese designers Zhou Ying and Niu Yuntao have created a floating survival house that could save lives and assist with rescues in such disaster situations. Known as the Duckweed Survival House, it is a floating shelter that not only protects people from large waves but also from harsh sun and rain. Duckweed Survival House won the 2015 Red Dot Award, which is a prestigious award given to top international designs of the year. Its bright fluorescent color can be visible even at night…making rescue work easier. 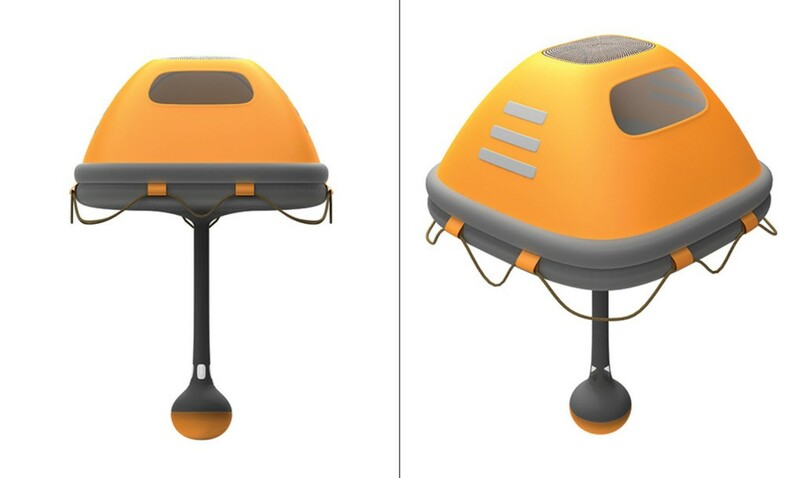 It is designed to attach to other Duckweed Survival Houses, so that if there is a group of people lost at sea, they could easily band together… making the search and rescue efforts easier. To keep survivors hydrated, Duckweed Survival House can also convert seawater into fresh drinking water with a reverse osmosis strip. 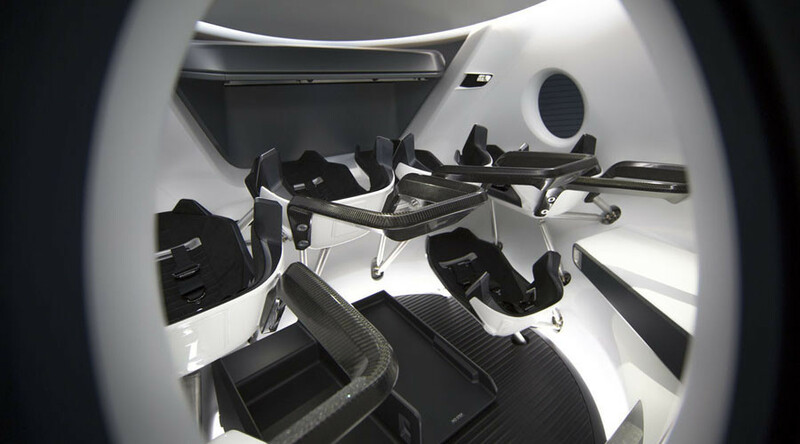 There is an air filter at the top which allows the intake of fresh air into the housing. Duckweed Survival House inflates in seconds with its built-in, high-pressure carbon dioxide gas chamber. It is very stable, with a weight at the base that ensures the unit won’t tip over and is stable even in rough waters. In short, Duckweed Survival House is a perfect safety raft for any person living near coasts that might experience floods, tsunamis, and other disasters.